Host a Phineas & Ferb birthday bash at your home! Learn lots of ways to make your party more fun. Have a Phineas & Ferb Party! 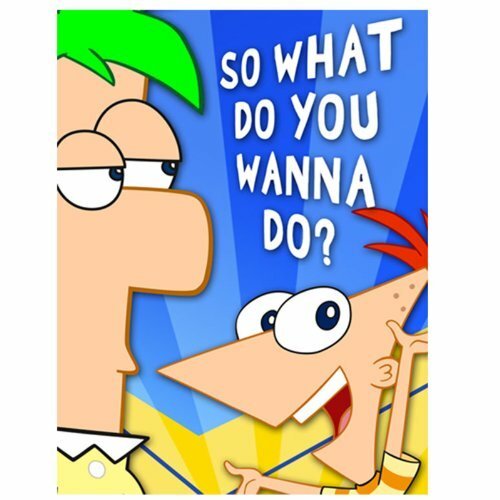 Phineas & Ferb has become a popular TV show among kids. This theme is greatly loved and enjoyed by kids now a days. Throwing a surprise birthday party with this theme will make the day of your boys. 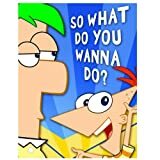 Phineas ans Ferb are step brothers who always spend the summer vacations together with the whole family. They start a new project every time and their sister, Candace, tries to bust them (but always fails). This Disney comedy series has gained a lot of popularity. For a Birthday Bash of this theme, you will need a lot of supplies and party ideas. This page will guide you in planning a perfect party. Party Invitations, Party Tableware and cakes and cupcakes decorations of good quality are featured here. You can order them online to have them delivered at your doorstep. Start your party preparations by preparing some fabulous party invitations for the occasion. 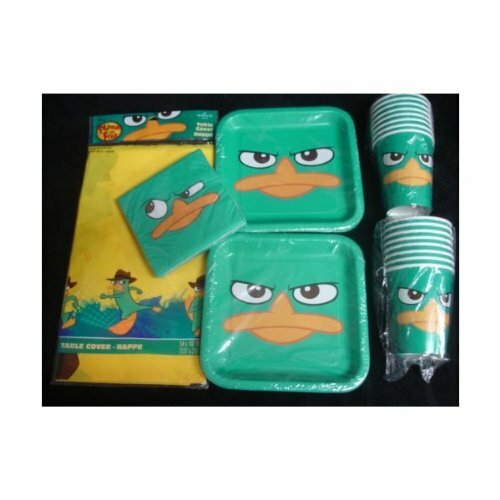 Phineas and ferb printable party supplies are available online for customization and printing. You can add your kids photo and all details of the party and print the invitations at home. Making some party supplies at home will be really fun. get your family to help you and they will turn out quite well. 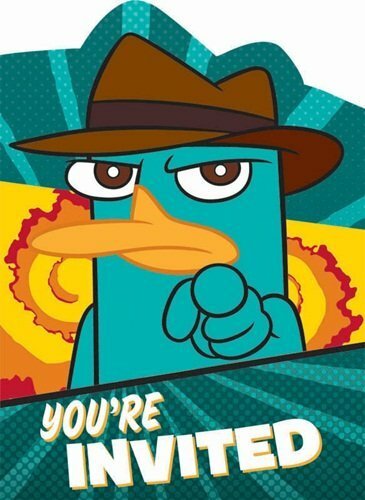 Buy some blue, yellow and green construction paper and some Phineas and ferb stickers and decals. Use markers for writing the details. You can use your creativity for preparing awesome invitations. make use of hand painting, thumb printing and hand printing. These fabulous party supplies were present on amazon and i featured them here for your convenience. This pack consists of 8 party invitations and envelopes and feature Phineas on it. This party pack will decrease your expenses by 40% and provide you with a complete decoration and party kit. A birthday cake marks the special day and event and makes the celebrations even sweeter than ever! 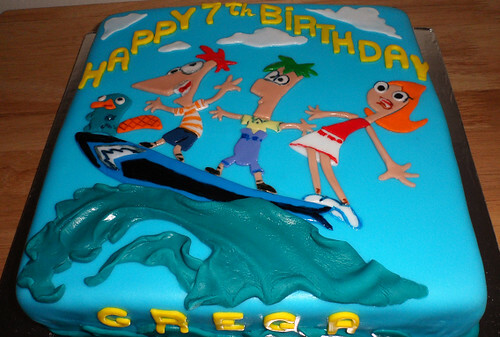 A Phineas and Ferb party should definitely have similar themed cake. To show your love to your kid you can make the cake at home with your own hands. This will not at all be difficult. You just will need to bake a simple cake and cover it with fondant, frosting or any icing of your choice. Then top the cake with some fabulous cake toppers for your party theme. 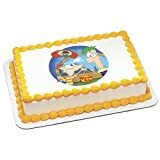 Below are given Phineas and Ferb themed cake topper kit, edible image and cupcake toppers. Make your cake special by using these simple cake decorations. 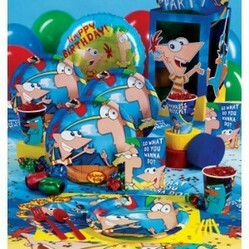 Birthday Party Balloons for any Phineas and Ferb Fan. A bouquet of 5 balloons make up this great foil balloon bouquet.